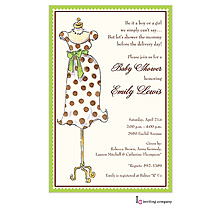 Chic style is accented on this baby shower invitation. 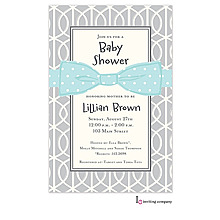 Shower bliss is shown in bright colors on this stylish invitation. 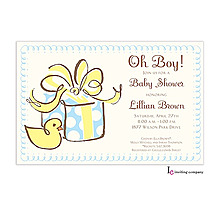 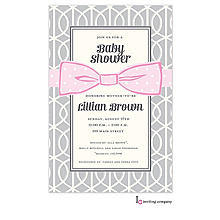 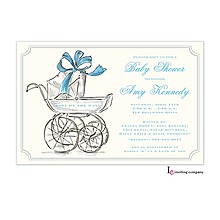 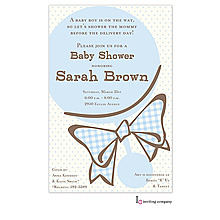 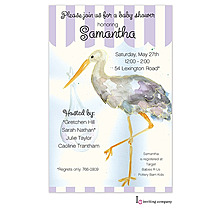 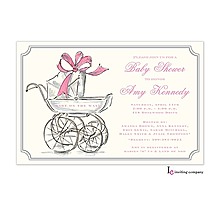 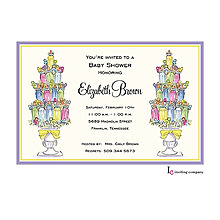 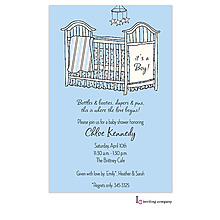 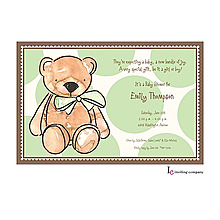 Baby shower delight is displayed on this colorful posh invitation. 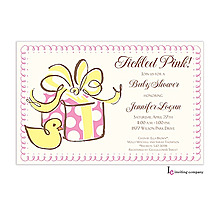 A pink and white chevron design is displayed on this two-sided card. 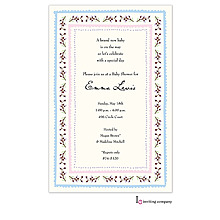 A lagoon and white chevron design is displayed on this two-sided card.